UPDATE: Minutes later, Meek releases another new offering, ‘Uptown Vibes’ with Fabolous and Anuel AA. It’s the song he previewed on IG earlier today. Listen below. 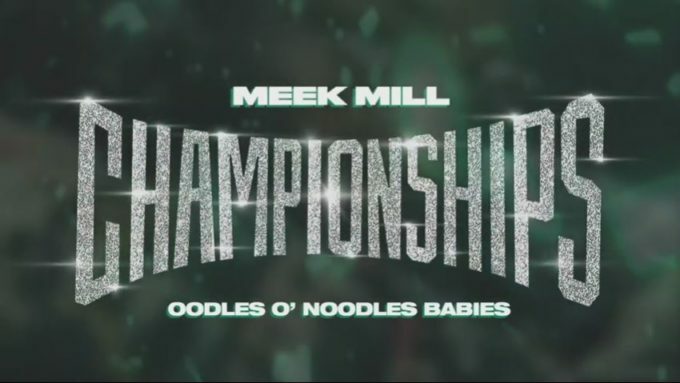 We’re just over a week out from the highly anticipated Meek Mill album Championships which is due on the 30th of this month. Just like he always does, Meek has been previewing new music on Instagram before the release of the LP. Tonight he gives us the first taste of what we can expect with his new single ‘Oodles O’Noodles Babies’. This is the Meek we really want to hear on the new album.